If you’ve been keeping count of Apple’s progress in the self-driving car game, it has over 50 vehicles on record with California’s DMV. Needless to say, it has grown significantly from last year where the company only had three vehicles in the state and quite the bump from the 27 it had earlier in 2018. It’s nearest competitors are Waymo with 51 self-driving cars and vehicle manufacturer General Motors with over 100 as part of its Cruise line. These companies don’t have cars on the road commercially, but they are still in the road testing phase. This means they must have a registered “safety driver” on board to take control of things in case of an emergency. While the ultimate test would be to allow for the self-driving cars to do their thing–operate without drivers period–it’s believed that the technology isn’t there yet. That said, with the number of companies registering for permits–53 in all–the technology is certainly close. In addition to the everyday duties of the DMV, the department is constantly busy with companies sending in applications to test on California roads. Besides, if your vehicle can pass the test in one of the state’s several major cities, it should be fine anywhere that probably isn’t called New York City. 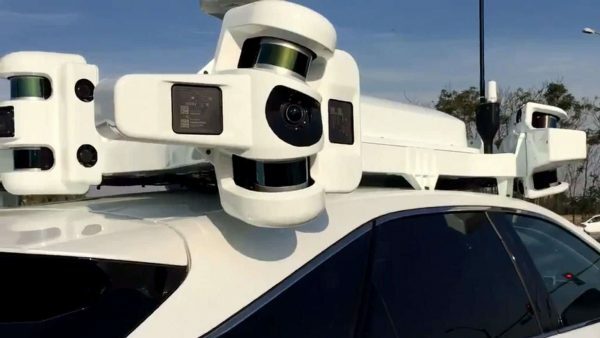 It should be noted that for a company to get its self-driving car on the road to test, it must meet the Society of Automotive Engineers International’s criteria to count as a self-driving vehicle. These criteria fall in Level 4 and Level 5 of the Levels of Driving Automation. A car at Level 4 is considered Highly Autonomous with a system being able to monitor road conditions, steering and acceleration on par with a human driver or better, and “fallback performance of dynamic driving task.” It’s system capabilities at Level 4 would have some driving modes. Meanwhile, Level 5 would meet all the same criteria as Level 4 except it would feature all driving modes.